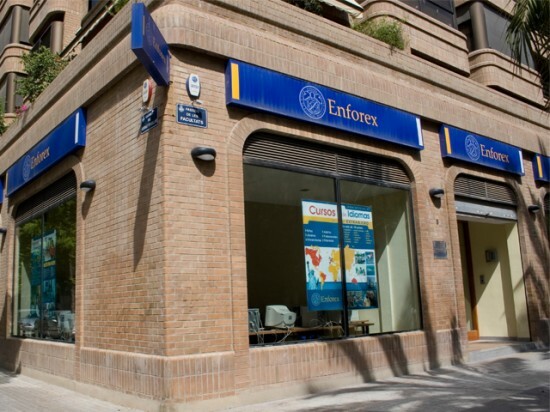 Enforex Valencia has 10 years of experience in the teaching of Spanish as a foreign language. Thousands of students, coming from a total of more than 72 countries, have passed through our doors over the years, something we consider both a great privilege and responsibility. But given that it’s our tenth anniversary, we’re not going to tell you things you already know, instead, we’re going to give you 10 reasons to come to Valencia and check us out for yourselves! This is, of course, one of the most important reasons for studying Spanish with us. 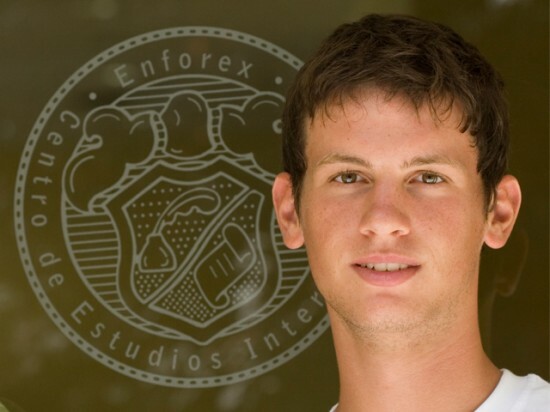 Our school belongs to an internationally recognized group with more than 25 years of combined experience in the teaching of Spanish, with courses beginning throughout the year. Our Valencia school is based in a fantastic setting: on the shores of the warm Mediterranean Sea, which means the city is the perfect place to visit practically all year round. Our school is found right in the center of the city, within a relaxed university district. 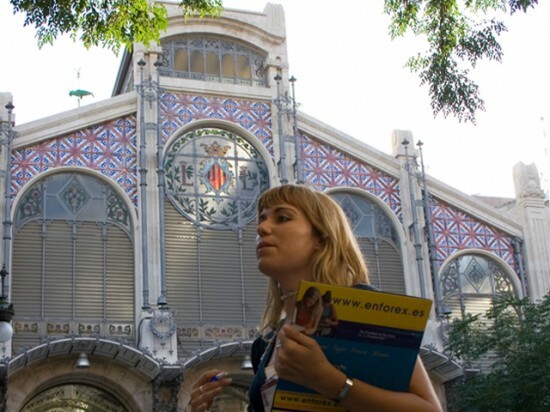 At Enforex Valencia, we arrange a number of excursions, allowing our students to experience all the magnificent places on offer in the city: but we don’t just offer the typical trip to the Ciudad de las artes y las ciencias; we go one step further and take our students to see various other lesser known but equally impressive places. For many people, the word ‘Valencia’ is undeniably synonymous with ‘paella’. But there’s a whole lot more on offer for the taste buds in Valencia! Horchata (a type of drink made with ground almonds, seasame seeds, barley, rice or tigernuts), fartons (spongy elongated confectionary glazed with sugar), buñuelos de calabaza (similar to doughnuts), el all i pebre (a savoury dish)…In fact, at Enforex, we’ve arranged a special course whereby we add a cookery class to our Spanish classes, allowing our students to unravel even Spain’s most well-kept gastronomical secrets. Something that really sets Valencia apart is the fact that it’s a City with its own beach. And better yet, our school is located very close to it. Just a short stroll away from classes, our students can sunbathe and swim in the sea, all the while practicing the Spanish they’ve just learnt! Everyone knows that Valencia is internationally renowned for its festivals, from Las Fallas through to the festival of San Juan. This helps us when it comes to teaching Spanish to our students…What better way to give them an authentic feel for Spanish than by taking a trip down to the town hall during the Fallas festival, where they can hear, see, and feel the language?! Valencia was a big city even at times when some of the cities we know today were merely small towns. The history of Valencia makes its way into our activities, excursions and even into our Spanish courses: for us here at Enforex Valencia, it’s a great honor and privilege to spread the news of our impressive history. We are based in one of the liveliest cities, with the richest culture, in all of Spain. Every day there’s a new café to explore, a new show to see, or museum to visit! Many of our activities mix learning with fun. And the great results of that combination are evident! The Santa Maria Cathedral and the Miguelete, La Lonja de la Seda, las torres de Quart, el Mercado Central…there’s a great range of monuments whose history fascinates the students when we tell them about it. An immeasurable help when it comes to language learning! For our outdoorsy types, we arrange visits to the Botanic Gardens at the University Gardens, and of course to the Albufera, an ecosystem and freshwater lagoon which provided inspiration for painters such as Sorolla, and for writers such as Blasco Ibañez. 10 reasons; 1 for each year we’re been teaching Spanish here at Enforex Valencia. 10 reasons to encourage you to come and experience it for yourselves, and study Spanish here with us. We look forward to seeing you here!